This is a complicated topic, and one which is too long to explain easily on a website. 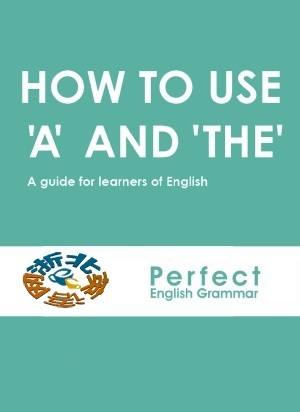 However, it is very important to be able to use 'a' and 'the' correctly if you want to speak and write elegant English. So, I've written an ebook that explains it clearly. You also get all future updated PDF versions of this book completely free. The ebook costs £6.50 (British pounds). This is about 10 American dollars. Remember, it's an electronic book - a PDF file - which you can read on your computer or print out. It's NOT a paper book! 2: On the next page, choose the PayPal button (for Paypal and credit cards) or the Google button (for Google Checkout). 3: Login to PayPal or Google Checkout or put in your credit card details, and pay. 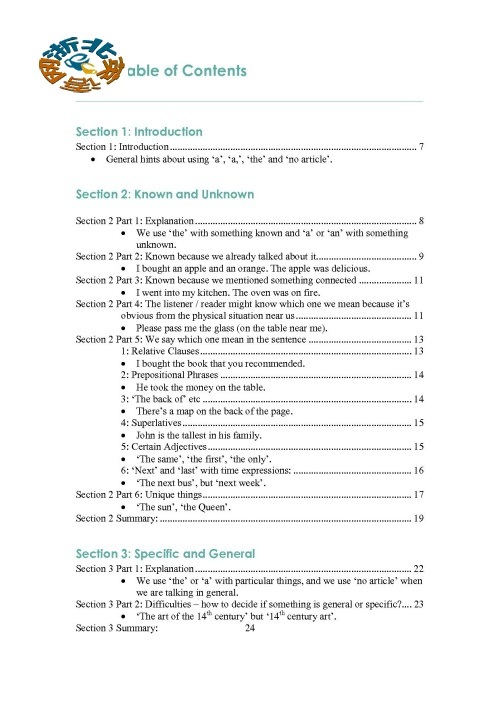 4: You'll see a link to download the ebook in PDF immediately. You'll also get an email with the link. 5: Any problems or questions? Please email me! If you have a blog or website and would like to review this ebook (positively or negatively!) email me with your url and I will send you a free copy. Home What's New? 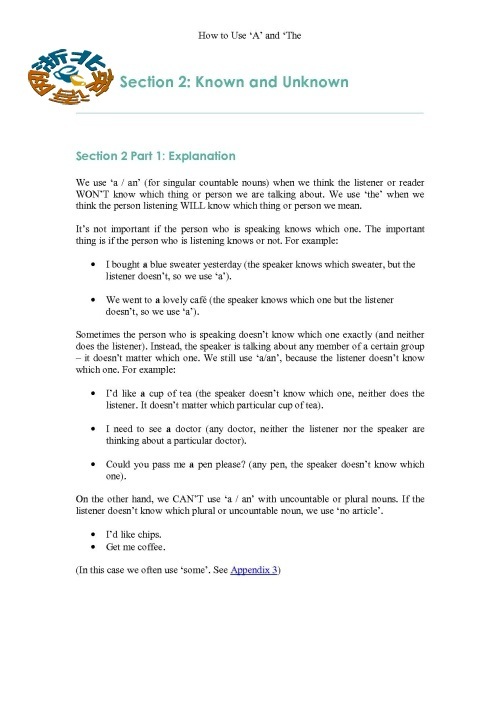 Videos PDFs Grammar Exercises 'A' and 'The' Verb Tenses Verb Patterns Questions Conditionals Reported Speech The Passive Irregular Verbs Stative Verbs Relative Clauses Prepositions Modals Gerunds and Infinitives Participles Improve Your English Newsletter About us Email Us F.A.Q.